5 Homemade Cleaners Fresh from Your Kitchen Pantry – And the Best Ways to Use Them! You don't need a bunch of fancy, expensive store-bought green cleaners to eco-clean your home. In fact, you may not have to look much further than your kitchen pantry. Below are five super inexpensive, safe, non-toxic cleaners that you can find in your kitchen pantry! These effective cleaners will keep your home squeaky clean and smelling great without the chemical nightmare of conventional cleaners. Lemon and baking soda are potent natural cleaners all on their own, but mix them together and you’ve got a powerhouse team that can clean up many areas of your home. 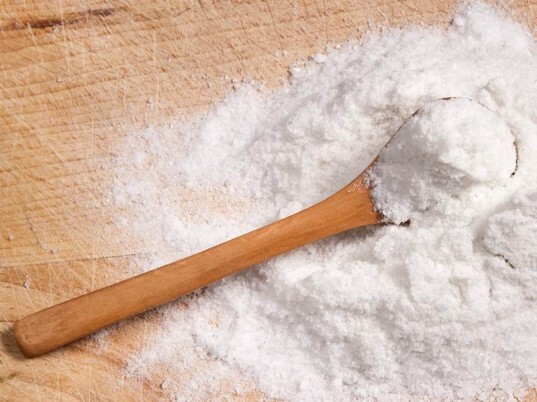 Sprinkle baking soda over any surface you like, such as kitchen counters, the entire bathtub, inside the toilet or sinks, fridge shelves or even inside your oven. Drizzle a fresh lemon over the baking soda and let it sit for 5-10 minutes. Spray the surface with plain water, then wipe or scrub down the area with a reusable cloth for a bright, sparkling, shine. NOTE: be careful not to drizzle lemon juice on or near fabrics, as it can stain. If a dish boils over in your oven or on the stove top, sprinkle plain old table salt on the hot spill. Allow the salt and spill to cool, then wipe the mess away with a wet cloth. Salt is also great at removing rust off of objects if you mix 2 tablespoons of salt with 1 tablespoon lemon juice, which has acid to help cut rust. Apply the salt/lemon mixture to rusty objects and rub the mess off. Salt can be used on wooden cutting boards as well to both buff and brighten. Simply rub down the board with a wet cloth dipped in salt. Got coffee pot stains? Salt will fix those right up. Sprinkle an ample amount of salt into your stained coffee pot, toss in a handful or two of ice cubes and swish the mixture around well, until stains start to vanish. Rinse the pot well before use, unless you like salty coffee (ick). Herbs and spices can be used in many ways around the home to clean and freshen. Best of all, you can grow herbs yourself, cutting cleaning costs even more! Below are just some ideas, but you can consult a good herbal cleaning book for more ideas. To get rid of gross food smells in your over, sprinkle an OLD pie plate with cinnamon and nutmeg, then squeeze some fresh citrus juice (preferably orange) over the spices. Let the pie plate sit in the oven as it cools. Mix two cups of strained lemon balm with one-half cup of vinegar. Use on windows or glass surfaces. Make homemade lavender furniture wax. Boil cinnamon sticks, nutmeg and other spices in a pot on the stove top to make the whole kitchen smell awesome. See a homemade apple and spice air freshener too. Blend a quarter cup of your favorite fresh herb leaves (I suggest mint leaves or basil leaves) with one cup baking soda plus an optional one tablespoon salt. Sprinkle the mixture into your tub or sink, spray with water and scrub. If your surfaces are easily scratched I suggest skipping the salt. Make an amazing herbal scented laundry booster. Make homemade herbal disinfectant that works on most surfaces. Mix and match or choose one handful of fresh herbs, such as lavender, eucalyptus, juniper, sage, basil, thyme, or rosemary. Place herbs in a pot, cover with 3 cups of water, simmer the herbs for 30 minutes. Strain the herbs, pouring the liquid into a labeled spray bottle. Cream of tartar isn’t just for homemade playdough. This common baking ingredient also helps you easily remove stains from aluminum cookware. Fill a stained pot with water and mix in 2 tablespoons of cream of tartar. Bring the water to a boil, turn the heat down to low and allow the pot to simmer for 30 minutes. Pour out the water and wash the pot like normal. You can also make an easy tub and sink scrub by mixing 1/2 cup of cream of tartar with 2 cups of distilled white vinegar. 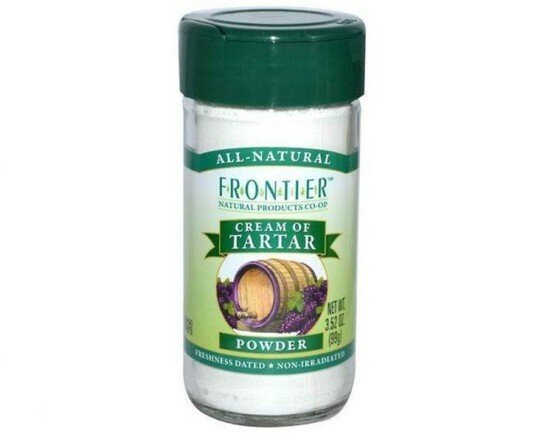 Mix your scrub well, although be aware that your cream of tartar may not entirely dissolve – it’s fine. Use a cleaning cloth to rub the mixture onto your tub or sink. The abrasive, yet not harsh qualities of cream of tartar will get rid of stains really fast with almost zero elbow grease. Rinse surfaces well after scrubbing so there’s no grainy substance left. Run a pot full of vinegar through your coffee machine a couple of times and follow with a couple of clean water rinses to clean out the interior of your coffee maker. Remove stickers (and that sticky back of sticker goo) your kids paste on furniture or walls by dousing it in vinegar. Spray carpet spills with a mixture of one-part vinegar and one-part water. Let the mixture sit on the carpet a few minutes, then wipe with a damp cloth. 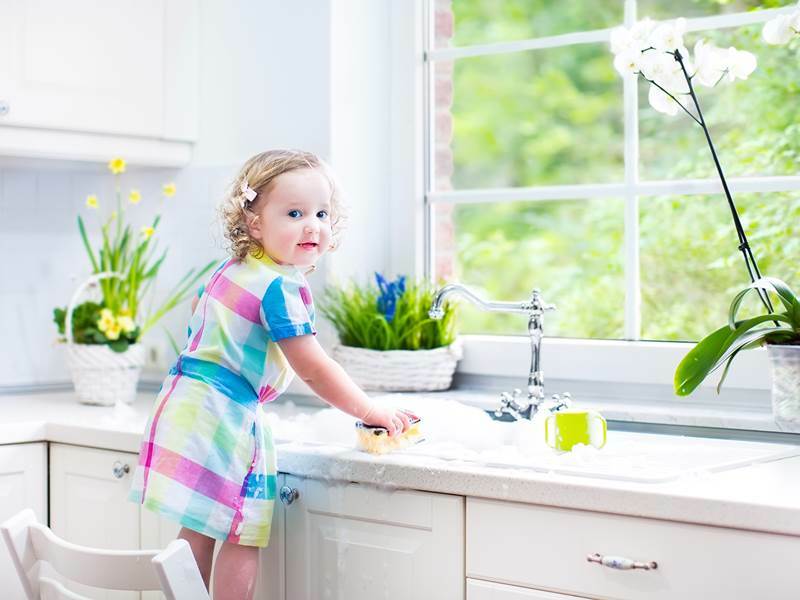 Mix one-part vinegar and one-part water and use it in a spray bottle for just about anything – toilets, windows, mirrors, counters, sinks, inside the fridge and much more. You can also use this a mildew reducer – spray on shower curtains or inside the tub after you shower. Clean a gross microwave by placing a bowl of vinegar in the microwave. Heat the bowl on high for about 2 minutes or to steaming. As the vinegar steams it will loosen stuck on grime, making it easy to wipe out with a wet cloth. Remove soap build-up from faucets or sinks with a mixture of one-part salt and four-parts vinegar. Mop no-wax floors with ½ cup of white distilled vinegar mixed with one-half-gallon of warm water. Visit the Vinegar Institute for many more vinegar cleaner ideas! 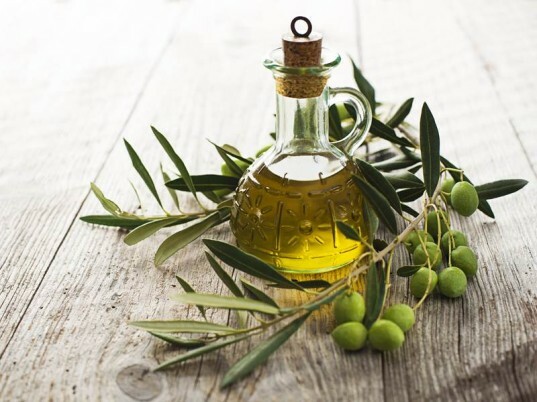 Inexpensive, domestic olive oil can be used in multiple ways around your home. However, make sure you buy a special oil mister. If you use a plain old spray bottle, you’ll get too much oil on stuff and it’s also wasteful. For shiny wood, mix 1/2 cup olive oil, 1/2 cup vinegar, and 2 cups warm water, then apply the mixture to wood with a soft cleaning cloth. Wipe dry with a clean cloth. Prevent streaks and tarnish on stainless steel and brass cookware by rubbing a bit of olive oil on the dishes with a cloth. Also use olive oil to clean dirty garden tools or rub it directly onto outdoor rattan and wicker furniture to help prevent cracking. 5 Homemade Cleaners Fresh from Your Kitchen Pantry - And the Best Ways to Use Them! Lemon and baking soda are potent natural cleaners all on their own, but mix them together and you've got a powerhouse team that can clean up many areas of your home. Sprinkle baking soda over any surface you like, such as kitchen counters, the entire bathtub, inside the toilet or sinks, fridge shelves or even inside your oven. Drizzle a fresh lemon over the baking soda and let it sit for 5-10 minutes. Spray the surface with plain water, then wipe or scrub down the area with a reusable cloth for a bright, sparkling, shine. NOTE: be careful not to drizzle lemon juice on or near fabrics, as it can stain. Herbs and spices can be used in many ways around the home to clean and freshen. 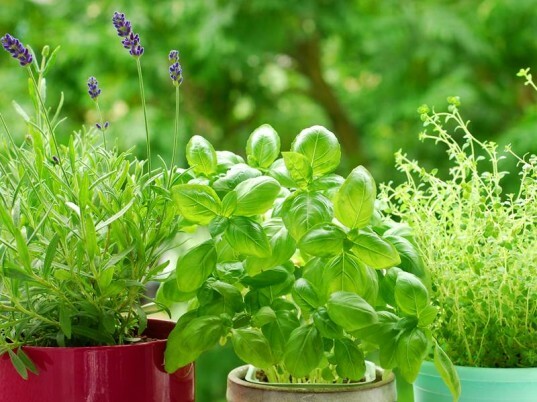 Best of all, you can grow herbs yourself, cutting cleaning costs even more! Below are just some ideas, but you can consult a good herbal cleaning book for more ideas. 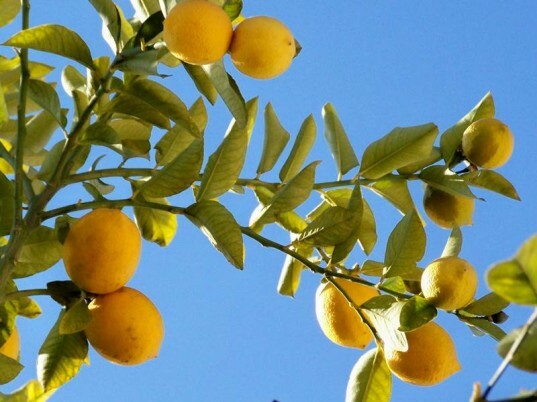 To get rid of gross food smells in your over, sprinkle an OLD pie plate with cinnamon and nutmeg, then squeeze some fresh citrus juice (preferably orange) over the spices. Let the pie plate sit in the oven as it cools. Mix two cups of strained lemon balm with one-half cup of vinegar. Use on windows or glass surfaces. Make homemade lavender furniture wax. Boil cinnamon sticks, nutmeg and other spices in a pot on the stove top to make the whole kitchen smell awesome. See a homemade apple and spice air freshener too. Blend a quarter cup of your favorite fresh herb leaves (I suggest mint leaves or basil leaves) with one cup baking soda plus an optional one tablespoon salt. Sprinkle the mixture into your tub or sink, spray with water and scrub. If your surfaces are easily scratched I suggest skipping the salt. Make an amazing herbal scented laundry booster. Make homemade herbal disinfectant that works on most surfaces. Mix and match or choose one handful of fresh herbs, such as lavender, eucalyptus, juniper, sage, basil, thyme, or rosemary. Place herbs in a pot, cover with 3 cups of water, simmer the herbs for 30 minutes. Strain the herbs, pouring the liquid into a labeled spray bottle. Cream of tartar isn't just for homemade playdough. This common baking ingredient also helps you easily remove stains from aluminum cookware. Fill a stained pot with water and mix in 2 tablespoons of cream of tartar. Bring the water to a boil, turn the heat down to low and allow the pot to simmer for 30 minutes. Pour out the water and wash the pot like normal. You can also make an easy tub and sink scrub by mixing 1/2 cup of cream of tartar with 2 cups of distilled white vinegar. Mix your scrub well, although be aware that your cream of tartar may not entirely dissolve - it's fine. Use a cleaning cloth to rub the mixture onto your tub or sink. The abrasive, yet not harsh qualities of cream of tartar will get rid of stains really fast with almost zero elbow grease. Rinse surfaces well after scrubbing so there's no grainy substance left. To be honest, I hate the smell of vinegar, but hands down it's a super powerhouse of a kitchen cleaner. 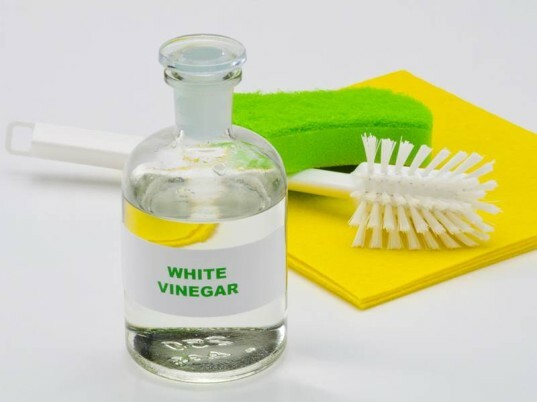 White vinegar can be used for just about any surface, glass, floors and walls included. Heck, you can even use it to wash clothing. Vinegar has awesome qualities that help break up deposits on your shower head and improve weak water pressure simply by removing, then soaking your shower head in it. If, like me, you HATE the smell of vinegar, but want its cleaning power, add a few drops of essential oil to your vinegar cleaners before use. See some vinegar ideas below: Run a pot full of vinegar through your coffee machine a couple of times and follow with a couple of clean water rinses to clean out the interior of your coffee maker. Remove stickers (and that sticky back of sticker goo) your kids paste on furniture or walls by dousing it in vinegar. Spray carpet spills with a mixture of one-part vinegar and one-part water. Let the mixture sit on the carpet a few minutes, then wipe with a damp cloth. Mix one-part vinegar and one-part water and use it in a spray bottle for just about anything - toilets, windows, mirrors, counters, sinks, inside the fridge and much more. You can also use this a mildew reducer - spray on shower curtains or inside the tub after you shower. Clean a gross microwave by placing a bowl of vinegar in the microwave. Heat the bowl on high for about 2 minutes or to steaming. As the vinegar steams it will loosen stuck on grime, making it easy to wipe out with a wet cloth. Remove soap build-up from faucets or sinks with a mixture of one-part salt and four-parts vinegar. Mop no-wax floors with ½ cup of white distilled vinegar mixed with one-half-gallon of warm water. Visit the Vinegar Institute for many more vinegar cleaner ideas! Inexpensive, domestic olive oil can be used in multiple ways around your home. However, make sure you buy a special oil mister. If you use a plain old spray bottle, you'll get too much oil on stuff and it's also wasteful. For shiny wood, mix 1/2 cup olive oil, 1/2 cup vinegar, and 2 cups warm water, then apply the mixture to wood with a soft cleaning cloth. Wipe dry with a clean cloth. Prevent streaks and tarnish on stainless steel and brass cookware by rubbing a bit of olive oil on the dishes with a cloth. Also use olive oil to clean dirty garden tools or rub it directly onto outdoor rattan and wicker furniture to help prevent cracking.